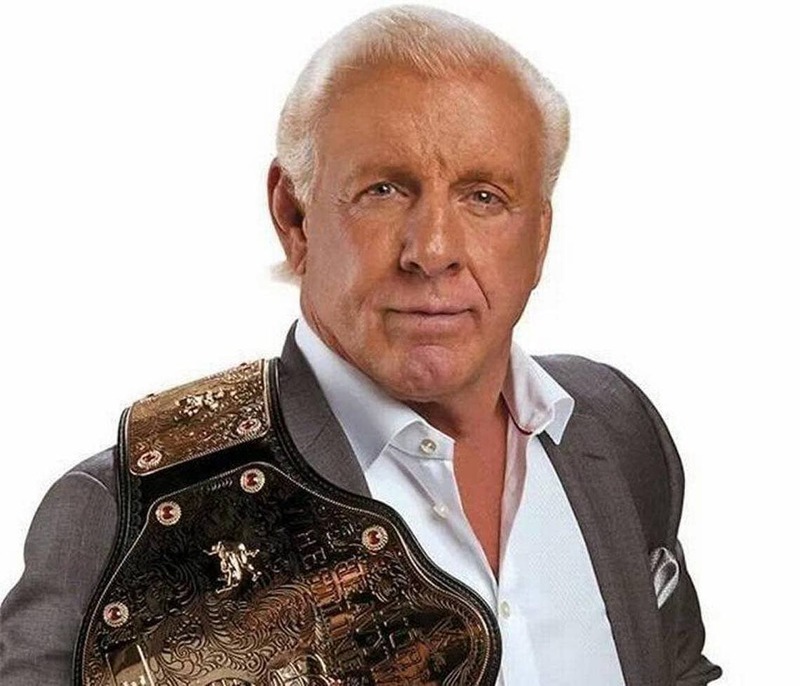 Ric Flair Outside the Ring – What’s The Nature Boy Up to These Days? You might guess that a professional athlete would love watching sports and that’s certainly true for the Nature Boy. He hits WWE pay-per-view events like Survivor Series and Evolution to support his daughter Charlotte, of course, and sometimes makes in-ring appearances himself. But sometimes he shows up at casual weekday tapings of SmackDown just to hang out. And he’s into other sports, particularly football. Flair headed to Mercedes-Benz Stadium to watch the Georgia Bulldogs take on Alabama in the College Football Championship playoffs. And he even managed to sneak in a pic with Quavo of Migos while he was there (you know how much hip hop stars love Ric Flair, after all). Before that, he was at the SEC Championship and a couple regular season games to keep tabs on his beloved Dawgs. He’s an NFL fan too, snapping pics as he hung out with the guys at the NFL Network during the Rams and Chiefs game, surprising Stephen A, and stopping by the Falcons game for Monday Night Football. He even hits the field to support the Hamilton Tiger-Cats, a Canadian Football team in Ontario! Edmonton and Vancouver, Canada… I’m coming for you on January 11th and 12th. I can’t wait to launch the Off the Top Rope Series… the untold tales of pro wrestling as soon through the eyes of Ric Flair! WOOO! I’ll be there with Jimmy “Mouth of the South” Hart. I’ll be signing autographs, taking photos and talking wrestling like you’ve never heard before. Tickets available now at Ticketmaster! The Nature Boy might not hit the ring to lock on the Figure Four and strut and woo as he pounds opponents into submission, but he is still traveling the nation (and Canada) to put on a show for huge audiences. Fans today are flocking to see Flair in his two-man show, Off the Top Rope with Ric Flair. Together with Jimmy “The Mouth of the South” Hart, he’s packing stadiums to regale crowds with tales of his wrestling career, opinions on everything, wild stories, and crass jokes that you’d expect from the Nature Boy. He’s still got that magnetic showmanship and that same cocky attitude if you’re hoping to get tickets to see everybody’s favorite wrestler speak! The Party To Be At On Super Bowl Sunday Is The Blitz Tailgate Party At The @hardrockcafe In Atlanta! Get Your Tickets Today At @eventbrite! Don’t Miss Out On Hanging With The Nature Boy At The Ultimate Party! WOOOOO! Ric Flair doesn’t just dabble in the WWE these days. Not only does he travel to all sorts of sporting events across the nation, he’s partying at the biggest one of the year! In February, Flair is heading to the Super Bowl in Atlanta to host the Blitz Tailgate Party at the Hard Rock Cafe. Before kickoff on Super Bowl Sunday, he’ll be rubbing elbows with NFL greats and welcoming fans to a daytime party complete with an open bar and gourmet buffet. He might even be signing autographs! And FYI, this isn’t his first official tailgate party. Flair just hosted a tailgate for the Dallas Cowboys’ playoff game too. 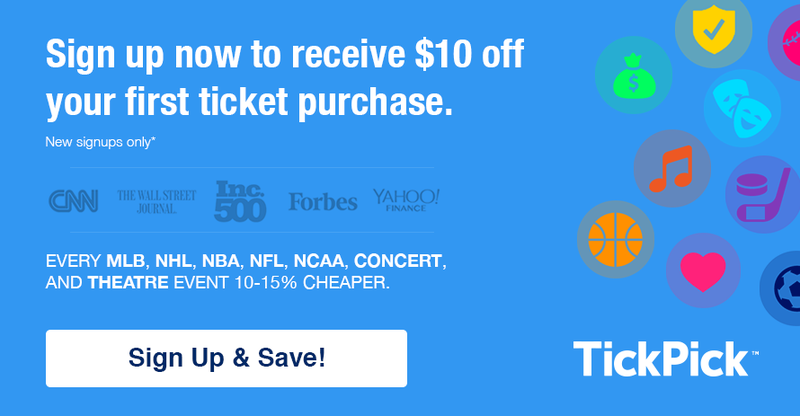 Speaking of Super Bowl parties, TickPick has tickets to some of the best! Shop our selection of 2019 Super Bowl Party Tickets! I’ll Be Back At @alamocitycomiccon Today For Some Day Two Action! If You Missed Me Yesterday Be Sure To Stop By Today! WOOOOO! The Nature Boy has some of the world’s most devoted fans. And for that, he repays them with constant thanks and travels to sign autographs and make appearances. He went to the Alamodome for ComicCon to meet fans, shake hands, admire fan artwork, and sign anything and everything they brought in. Flair also ventured to Dragon Con in Atlanta, the Knoxville Fanboy Expo, and more events all over the country. For most of his career, Flair was known as that stylin’, profilin’, limousine riding, jet flying, kiss-stealing, wheelin’ n’ dealin’ son of a gun with women in every city across the country. But Ric Flair got married in the fall and now he and the Wondrous Wendy travel everywhere and do everything together. Flair also makes time to take the kids to the homecoming dance and attend class ring ceremonies. Not to mention, he’s absolutely Charlotte Flair’s biggest fan! Since Winter Is Officially Here, It’s Time To Get Out Your Nature Boy Sweatshirts From RicFlairShop.com! Dress Like A Champ Even In The Cold Weather! WOOOOO! Need a Ric Flair Christmas sweater? Leggings with The Nature Boy’s face all over them? Or even an autographed Ric Flair t-shirt? You can find it all in the Ric Flair Shop. He’s got over 200 items that feature Ric Flair photos, cartoons, and your favorite Nature Boy sayings. We’re talking clothing, hats, beach towels, DVDs, mugs, and even Ric Flair throw pillows and baby bibs – everything you never knew you needed! What can we say? The guy’s practically a mogul. And really, don’t you need that “Space Mountain” t-shirt?